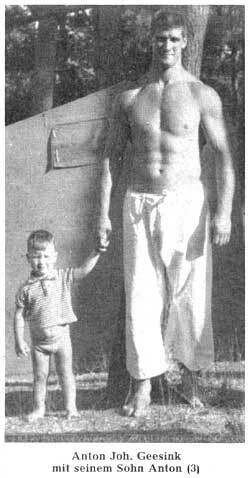 Kado accepted a challenge from Helio Gracie – Brazilian champion for 20 years. The loser was determined by tapping out due to a choke or armbar, or by being knocked out of commission. Ippon (clean powerful throws) or osaekomi (pinning) would have no effect on the results of competition. During Kado’s fight he threw Gracie several times. Gracie, who was in excellent condition, demonstrated ukemi, braking the throws with little injury. After 10 minutes of frustration, Kado decided to apply a choke. 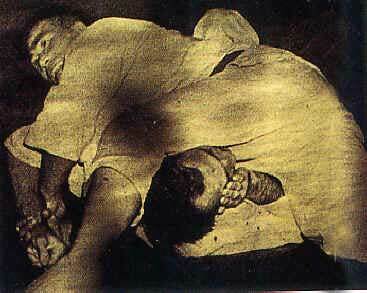 However, the masterful Gracie applied his own choke rendering Kado unconscious. With Kado’s passing-out, Gracie was declared the winner and became a national hero of Brazil! Weeks later, Gracie challenged the remaining two team members, either Yamaguchi or Kimura, to a match. Yamaguchi refused for fear of injury, however Kimura accepted the challenge. There were 20,000 spectators present. A coffin was brought in by Gracie’s followers. Presumably, Kimura was to be killed by Gracie. On the day of the match, the President and Vice President of Brazil attended at ringside. During the fight, Kimura threw Gracie repeatedly with Ippon Seoinage, Osoto-gari, and Haraigoshi. He also included painful suffocating grappling techniques such as Kuzurekamishihogatame, Kesagatame, Sankakugatame. Gracie proved to be a formidable opponent refusing to surrender after 12 minutes of grueling fight. Kimura then took Gracie down with an Osotogari followed by Kuzurekamishihogatame. During the battle that followed, Gracie bridged out of the pin and right into Kimura’s ude-garami (arm bar). The arm bar must have been painful but when Gracie refused to surrender, Kimura applied yet more pressure, and as a result Gracie suffered a broken left elbow. Even with the broken elbow, Gracie still refused to give up, so his comer “threw in the towel”. Kiinura was declared the winner by TKO. Although Kimura won the actual fight, it was acknowledged that Gracie had the greater fighting spirit and will. Kimura later applauded Gracie’s tremendous will to win. Kimura was born on September 10, 1917 in Kumamoto Prefecture in Kyusu, Japan. He started to practice Judo at age 10. By the time he was a senior in High School, he had reached 4th dan. In 1935, he won his first title, the All-Japan Collegiate Championships. At the samc time he was promotcd to the 5th dan by defeating eight (8) consecutive opponents at Kodokan. In October 1937, Kimura competed in All Japan Judo Championships. In his semi-finals, he won with Ippon using Osoto-gari in only a few seconds. Nakashima, a two-time champion was his final opponent. The match was scheduled for 40 minutes. In the first 15 minutes no one scored any decisive points. In the second pcriod Kimura scored a Wazari with Seoi-nage. Kimura felt that he had won the match, but Nakashima countered with left Uchimata. Thus, the second period was a draw. In the last 10 minute period, Nakashima was taken down where Kimura applied Kuzure-kami-shiho-gatame, After the 30 second pin, Kimura was declared the winner. In 1938, at The 8th All Japan Judo Championship, Kimura made it to the fourth round match easily. His opponent was Tashiro. Tashiro was known for his excellent Kani-basami (now banned from use due the fact that even if applied correctly with speed and force, it most often results in a broken leg). When the match started, Kimura threw Tashiro with Osoto-gari. The throw was so powerful that Tashiro hurt his right shoulder and was unable to continue. In the final match Kimura won by Ippon with Kuzure-kamishiho gataine over Ogawa. The following year at the 9th All Japan Judo Championships, Kimura again made it to the fourth round easily. Here he defeated Tsuzimoto with Tsurikomi-goshi. He warned his final opponent, Tokizane, just prior to the match that he was going to defeat him using Osoto-gari. Ironically, Tokizane’s specialized favorite was also Osoto-gari. However, even his expertise was no match for Kimura. Tokizane took an extremely defensive posture at the start of the match. Kimura circumvented these defenses with an Osoto-gari and Osoto-otoshi combination. With the winning of this title, Kimura had won the last three All Japan Tournaments. For his winnings he was awarded the Championship Flag. He is the only person in the world to ever posses the flag. Kimura’s next major win was in 1940 at the Ten-Ran Shiai. This was a special tournament held in the presence of Japan’s emperor. Kimura won the first match with Ippon using Ushiro-goshi. In the next two matches he won with Osoto-gari. His semi-final opponent was Hirosei. Hirosei was the champion in 1941. (Kimura was not present at that tournament, but in previous meetings, Kimura had won by Wazaris using Osoto-gari.) His first five attempts to throw Hirosei were unsuccessful. However, Hirosei tired, and Kimura defeated him by Ippon using Osoto-gari. His final opponent Ishikawa was the champion in 1949 and 1950. (Kimura had defeated him with Osoto-gari and Tsurikomi-goshi in the past meetings.) This time Kimura defeated him decisively with Ippon Seoi-nage just 42 seconds into the match. The night before the final match Kimura could not fall to sleep easily. He was pondering on how to defeat Ishikawa as quick as possible. Kimura considered to apply osoto-gari or sasae-tsuri-komi ashi. Yasuichi Matsumoto (187 cm,80 kg) became the champion on May 2, 1948 in Kodokan’s All Japan Judo Championship. The first round he won by osoto-gari, second round by osoto-otoshi, and 3rd round by osoto-maki-komi. In the quarterfinal round he won by osoto-gari. In the semifinals he fought to a draw with Yoshimatsu (winner then decided by a coin flip). In the final match, he beat Tokuharu Itoh by decision in three overtimes. Kimura was not invited due to his refusal to return the prized championship flag. On Nov. 1, 1948 at the 3rd National Athletic Judo Tournament held in Fukuoka, Yoshimi Osawa 6th dan (5’5′ 68 kg), defeated Yasuichi Matsumoto, by ura-nage. Osawa is considered to be one of the best technicians post WW II. He is currently 9th dan. Osawa is famous for ashi-harai and tsurikomi-goshi. At age 32 Kimura competed in the All Japan Judo Championships for the last time. He won in the first round with Ude-garami. In the next round he pinned Osawa with Kuzure-kamishiho-gatame. In the semi-finals, he won by decision with Ippon-scoi nage. His final opponent was Takahiko Ishikawa, 6th dan and rival. Kimura was more aggressive, doing all the attacking. However after three overtimes with neither scoring at least a Wazari, Mifune (10th dan), the referee, declared both of them champions. In 1947 at West Japan Judo Championship, Kimura went up against Yoshimatsu. Yoshimatsu was 5’11” (180 cm) and weighed 250 lbs (115 kg). Future three time All Japan Champion in 1952, ’53, ’55 was little challenge for Kimura. He defeated Yoshimatsu with Osoto-gari and Ippon-Seoi-nage, by Wazaris. Yoshimatsu later defeated future Olympic Champion, Anton Geesink, in 45 seconds with Uchimata in the 1st Worlds Judo Championships (1956). Anton from the Netherlands stood 6’7″ (197 cm) and weighed 213-264 lbs (97-120 kg). He was World Champion in 1961 and 1965 and also won the Gold in the Tokyo Olympics (1964). Masahiko Kimura Sensei, the greatest Judo Legend passed away on April 18, 1993 of Lung Cancer at the age of 75. Japanese famous writer Tomita (son of Tomita, 8th dan — one of the four Kodokan Guardians in the early Kodokan) praised Kimura as the best Judo player in the Showa era. Tomita wrote “Kimura No mae Ni Kimura Naku, Kimura No Ato Ni Kimura Nashi.” Meaning: there never was a player like Kimura before or since. Approximately 25 years ago I wrote a letter to Kimura Sensei. To my surprise he replied immediately and also included details on how to master Osoto-gari. To me there is no doubt that he is the greatest and most humble Judo Legend of all time. We all miss him. For more information on Masahiko Kimura please see this excerpt from “My Judo” by Masahiko Kimura, a longer biography by Jim Chen, the latest article by Jim Chen, or see the videos of the Gracie match. Also read the Interview with Helio Gracie where he reveals that Kimura had choked him unconscious.